"Popcorn" is a reasonably famous early synth-pop instrumental. Composer Gershon Kingsley (of Perrey and Kingsley) first recorded it for his 1969 album Music To Moog By. Stan Free rerecorded the instrumental and released it under the name "Hot Butter" in 1971. The record was one of a rash of Moog based releases that define "early synth-pop" for many people born in the 60's and 70's. 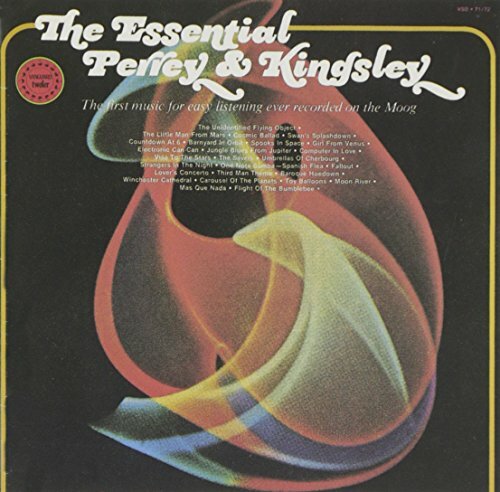 The end result of Perrey and Kingsley's first collabrative effort in 1966 combined Perrey's tape loops with Kingsley's live instrumentation and was filled with melodies and sounds like an animated cartoon gone berserk. It was titled The In Sound From Way Out! and was released on Vanguard that same year. Since this was decades before the advent of widespread digital technology, each cut took more than a week of painstaking editing and splicing to produce. YOU'RE IN FOR A SHOCK - A HAPPY ONE! This is the wackiest record Vanguard has ever put out -- and good music too, as well as a lot of fun. You can even dance to the music, but don't try whistling it. Everything that the new art of electronic sounds can do, combined with some slightly bewildered regulation instruments, is here applied to a set of bouncy numbers, some with familiar tunes , others newly and delightfully composed. What is the IN SOUND FROM WAY OUT! ? Atoms of pop music exploded into fresh patterns. 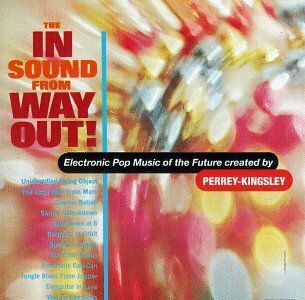 It's electronic sound of pop music from the future. A sample of the strange new pleasure of a world which belongs to the space age. A sample of the electronic "Au Go Go" that might be heard soon from the juke boxes at the interplanetary way stations where space ships make their rest stops. How is it produced? A new process called "Electronic Sono-synthesis" was created by Jean Jacques Perrey. To produce these syntheses not only musical instruments from electronic sources (Jenny Ondioline, Martenot Waves, etc.) but also sounds of natural origin (i.e. musique concrete) were used. These sounds were modified, transmuted, transformed, to the point of changing their harmonic structure - making out of them new, unprecedented original sonorities. Each sound thus created was then prerecorded on tape, classified, cataloged by frequency and timbre. At the time of composing the "musical phrase", each sound was "isolated" and selected according to its nature. The sonorities were then painstakingly assembled by splicing each bit of tape together manually with micrometric precision to form the "melodic line" and / or the rhythmic structure of the piece chosen. The synthetic rhythmic-melodic tape track thus created was then carefully synchronized with music played by live musicians on both electronic and natural instruments as well as with electronic sounds produced by oscillators, tone generators and feedback loops. Finally, through a complicated process of intricate overdubbing the likes of which we believe have never been done to this extent on records, a multi-channel tape master was produced embodying a synthesis of all electronic and natural elements.